It raises the value of your home. If you’re interested in increasing your home’s value, outdoor lighting is a great way to do it. Many buyers are looking for homes that have this and other hardscaping features. It boosts curb appeal. 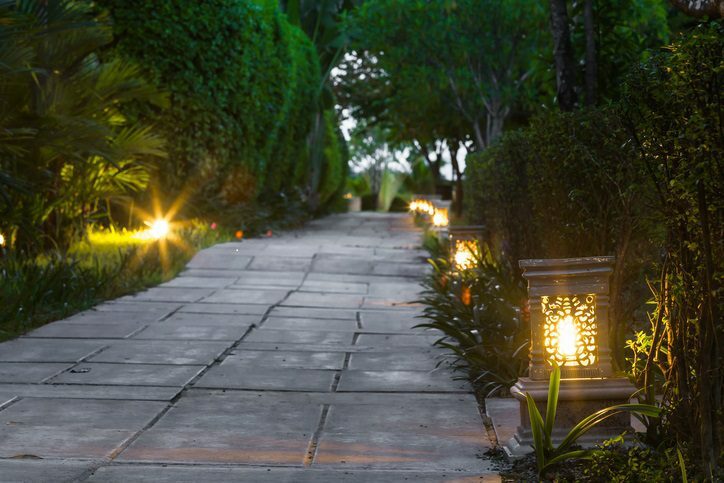 Landscape lighting lends an inviting, alluring feel to your home’s exterior. Family, friends, and neighbors will be amazed the way this touch of light enhances your property. It highlights certain features of your property. You may have gardens, architectural features, or hardscaping around your property. They look great during the day, but adding outdoor lighting will really showcase them. It provides an added measure of safety. Finally, landscape lighting can provide extra security. Well-lit walkways and stairs will help you safely move around your home after dark. Outdoor lighting is also one of the best ways to keep criminals away from your property. If you want to learn more about outdoor lighting, call Rolling Hills Nursery & Landscaping in Rock Hill, SC. We’re experts at transforming your landscape into something special.